Hey there, I’m Chelsea! 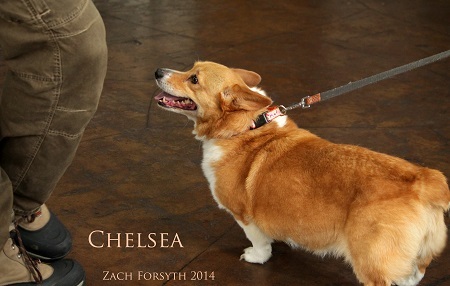 I am an 8 year old Corgi who is right at home here in Stumptown with my adorably stumpy little legs. Don’t let my height fool you, I can wiggle with the best of them! I am a very social gal with lots on the agenda. You can catch me dancing with my friends shakin this cute Corgi rump at Booty Bassment or gabbing with my girls at Stumptown coffee any given day. I’m also a good listener (needless to say– have you seen these ears?!) 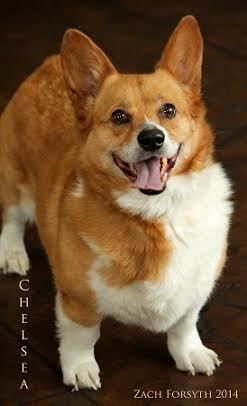 I’m great with older kids, fully potty-trained, vaccinated, fixed, and ready to meet you! I do well on doggy dates with my canine companions, but at home I’m best as an only child. So, wanna hang out? Just fill out an application at pixieproject.org and we can take a spin around the block and get to know eachother. Looking forward to it! XOXO My adoption fee is $250.